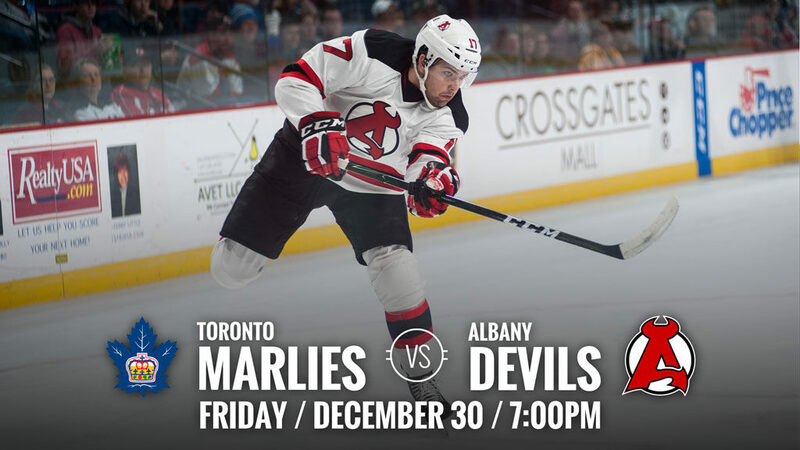 ALBANY, NY – The Albany Devils will take on the Toronto Marlies Friday at Times Union Center for a 7 pm puck drop. The last time these teams faced off was a weekend series in Toronto on Dec. 17 and 18. 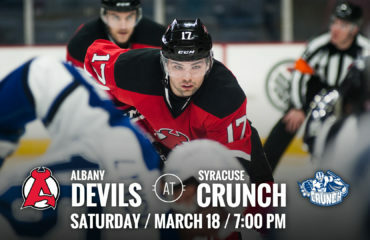 Albany came out on top Saturday, 3-1, but fell Sunday, 4-1. Both teams are coming off loses. 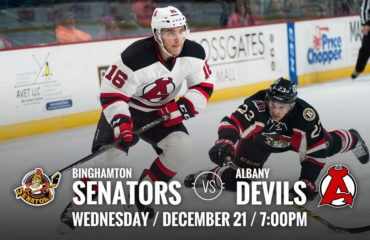 Albany fell to Providence, 4-2, on Monday, Dec. 26. 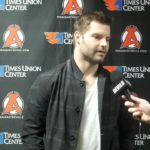 Toronto lost to Binghamton, 3-1, Thursday, Dec. 29. 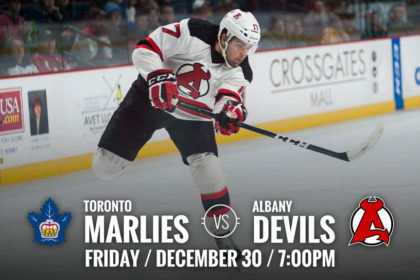 New Jersey Bound: Yohann Auvitu was called up to New Jersey on Dec. 27. 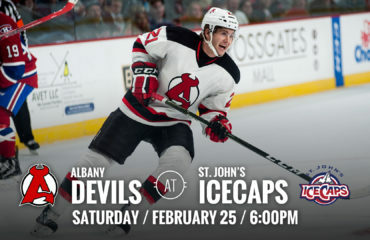 During his five-game span with Albany, which started on Dec. 14, he had one assist. With the New Jersey Devils this season, he’s played 23 games and has four points (2g-2a). 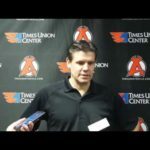 Leading Scorers: When facing Toronto, John Quenneville is at the top of the point list for Albany. 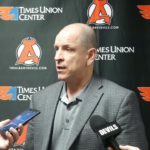 Quenneville has four points (1g-3a) in five outings against the Marlies so far this season. Tied for second place with three points each are Blake Coleman (2g-1a), Brian Gibbons (2g-1a) and Joe Blandisi (3a). 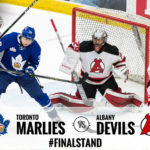 Standings Watch: In the North Division, the Devils stand in third place (0.550), while the Marlies are currently in fourth (0.483). 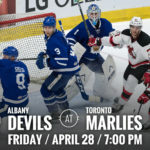 In the Eastern Conference, Albany is eighth, while Toronto is ninth.